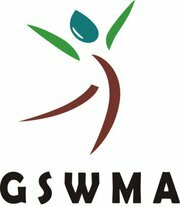 Gujarat State Watershed Management Agency (GSWMA) has been Published Recruitment Notification for Technical Expert, Procurement Expert & Hydrologist Posts 2018. Other Details Like Age limit, Educational Qualification, Selection Process and how to Apply are given below. Experience: Minimum experience of 5-10 years on a project in Government/ Bank / Corporate Sector of which minimum two years should be related to the working on World Bank/other internationally funded development project involving a similar job. How to Apply: Application Form should be duly filled as per the prescribed format and send it through “RPAD/Speed Post” on an above-mentioned address by 5th March 2018.